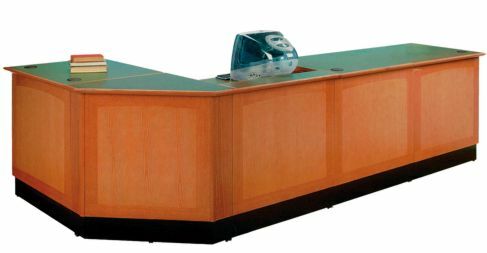 Chancellor Circulation Desks feature reconfigurable stand-alone modules and uninterrupted work surfaces. Extensive electrical and data accessories provide safe, convenient power and data access. 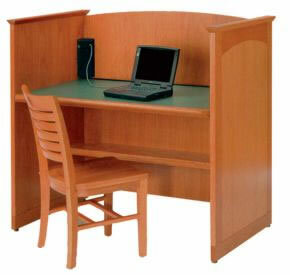 Chancellor Information Access Workstation with crafted face veneer and Parallax chair. Brodart provides a state-of-the-art offering of electrical and data accessories to meet the needs of the automated library. 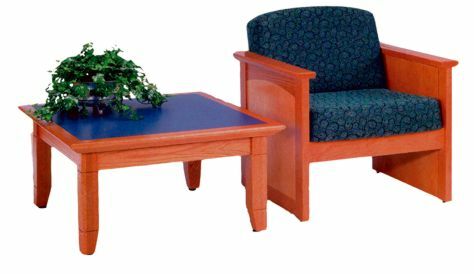 Chancellor Collection Upholstered Lounge chair and square end table feature sumptuous cushions with Crypton fabrics — long lasting for long-term use. 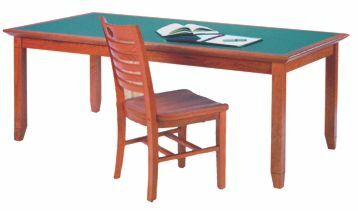 Chancellor Apron style rectangular reading table with Chamfered Leg. 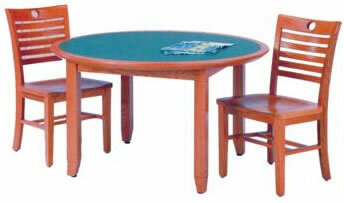 Chancellor Apron-Style round reading table with Chamfered Leg. 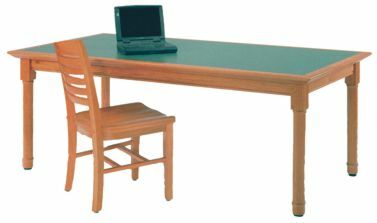 Apron-Style rectangular reading Table with Traditional Leg. Parallax wood chair. 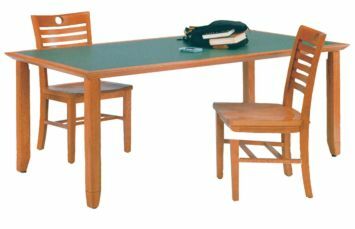 Chancellor Apronless rectangular reading table with Chamfered Leg. 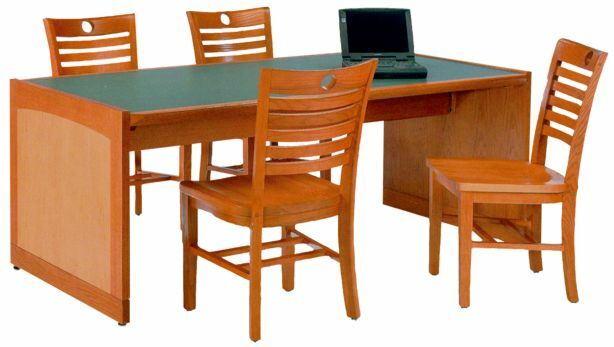 Chancellor Full Panel Style rectangular reading table with crafted face veneers.